Zebco is one of America’s iconic outdoor companies. 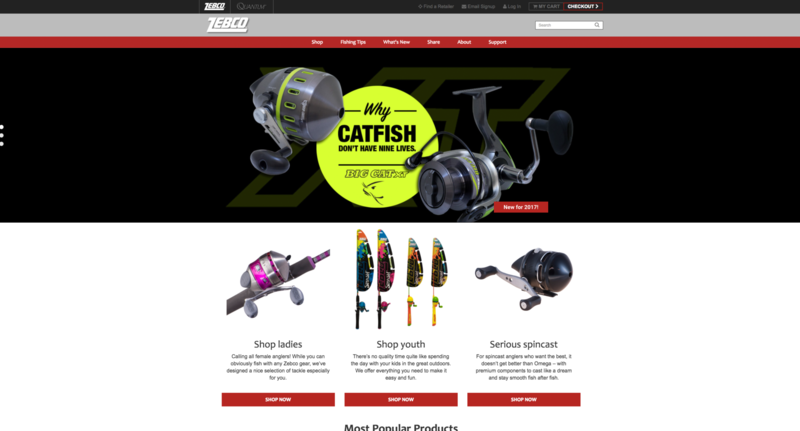 Two of their product lines are Zebco, which is aimed at recreational fishing, and Quantum, which is designed and priced for serious enthusiasts and professional anglers. The brand family, which includes still more retail names in hunting and fishing, has been served by a variety of web sites, and Zebco is in the process of creating a family look and feel for all of them with the help of the GdB agency (www.alwaysthinking.com) and Jamersan. Making the most of the Magento Enterprise platform and its ability to manage multiple domains and stores was therefore a key part of this project. Differing needs on content management suggested a custom-built CMS for Quantum while the Zebco brand content is managed with Wordpress using the Fishpig module, which greatly simplifies the integration of Wordpress content with a Magento eCommerce site. The company has a number of legacy systems which had to be integrated with the site, and Jamersan wrote a number of custom APIs to keep data flowing from existing databases to Magento. 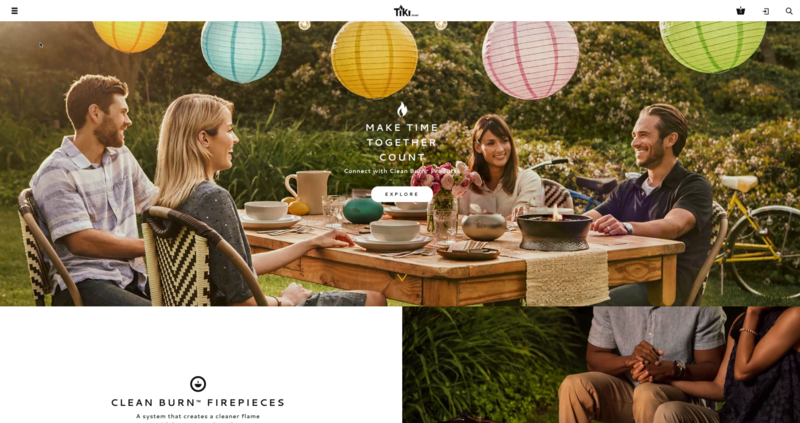 The Tiki™ brand has really been brought to life, with a home page that uses embedded background videos. The videos on this page are lazy-loaded after other crucial page elements, which allows the site to maintain its speed without sacrificing the video-powered effect that Tiki wanted to showcase their brand. These videos also have fallback images that both provide a temporary image while the video is loading but also ensure the user experience should the video not load. Jamersan worked with Tiki’s in-house development team to fully automate the bi-directional flow of information from the Magento website into Tiki’s back-office suite. Tiki’s back-office suite for functionality like product information (PIM) and order management is currently in a state of flux as they move from several third-party and custom written systems to SAP. As a result, our integration utilizes numerous custom written APIs. These APIs allow their in-house development team to incrementally migrate back-office functionality by simply updating APIs instead of modifying code on their eCommerce site. To improve performance of the site, we setup Redis to improve Magento’s caching as well as utilizing Gulp build tools to minimize front-end assets. Jamersan is continuously working with Tiki to identify areas of refinement and additional functionality that enables them to grow their brand. When the leading manufacturer of barbecue grills needed help with key elements of their new website, charbroil.com, Jamersan answered the call with a custom Magento Enterprise Edition site. 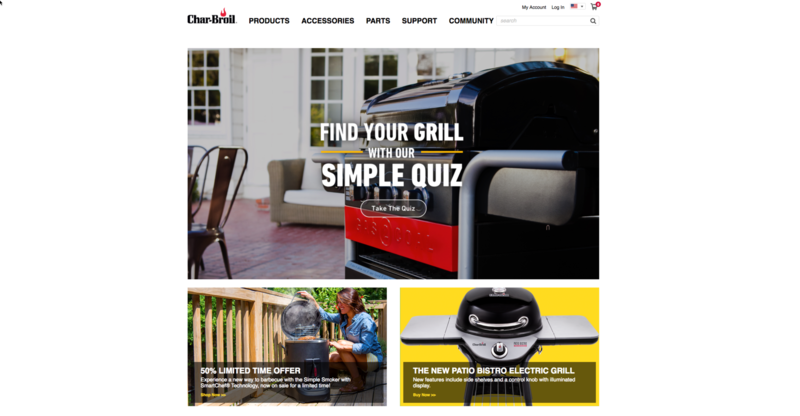 Based on a Thoughtworks design, the new Charbroil™ site was intended to focus on the brand story and on the sale of replacement parts and accessories (Most complete grill systems are sold through Charbroil’s dealer network). To that end, writing a custom parts finder module was key to the site’s successful launch. But there were many other systems that needed to be integrated with Charbroil’s new site. Their legacy databases and back-end systems required numerous custom APIs. Their business processes required custom payment modules. And a Wordpress integration was necessary to manage some of the content. Site performance is a challenge for a site with this much traffic, and that issue is compounded by the number of SKUs the brand manages on its website. Performance optimization is maintained with Redis caching. Badlands Packs is a lot more than backpacks – they sell a wide variety of backs, apparel, and other outdoor gear. Their brand story revolves around “technology, performance, and quality,” so a custom warranty fulfillment process was high on their requirements list when Jamersan LLC built their new site using Magento Enterprise Edition. With a price range of $69.99 to almost $500 for their line of fanny packs and back packs, and with most sales being driven through dealers like Bass Pro and Cabela’s, making the warranty process easy for their customers is a primary goal for the website. Their warranty policy is “We don’t care what happened, or whose fault it was, we will fix it for free forever.” They even allow those who got their products second-hand to file claims. As long as it’s repairable, they say they’ll fix it. So the warranty process on the website had to live up to that promise. One click takes the user to options including repair by Badlands, self-repair (Badlands sends parts), and a status section to check on existing claims. 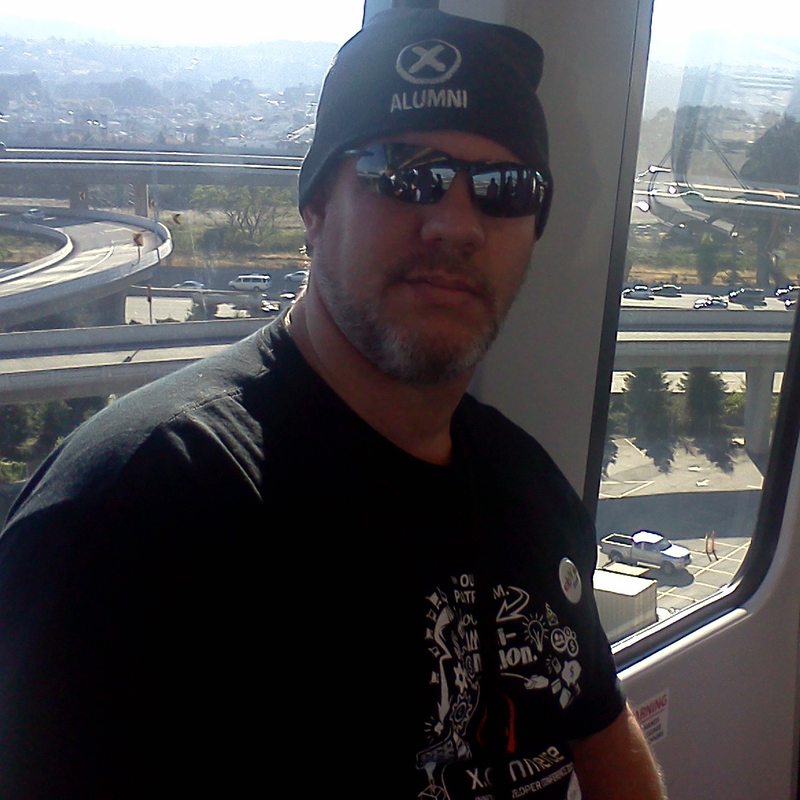 Badlands monitors and keeps up with all claim statuses in the custom Magento module that Jamersan built. A dealer locator was also customized by Jamersan to allow Badlands customers to find the nearest store or outfitter in their area. 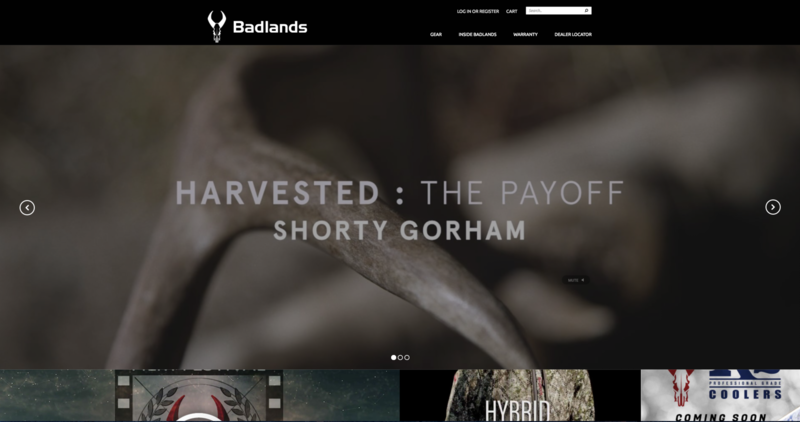 Jamersan built a responsive design with a masonry layout to highlight Badland’s high quality images that tell their brand story.